Sometimes you need to dig deeper to prepare a footing or sump drain, reach stable subsoil or dig below the frost line. If an auger can't dig those extra inches in the hole, it might mean cutting corners or buying an auger extension. 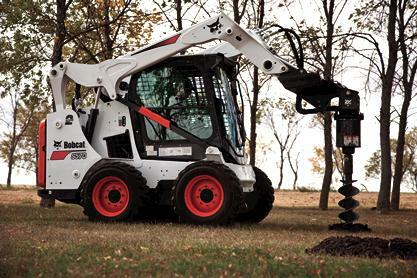 Bobcat augers provide design and geometry that helps do the job right. See how other brands compare. With auger attachments, torque equals power. Greater torque makes it easier to break down rock, power through tree roots or clay, and take on frozen ground. All augers have published torque ratings, but performance on the jobsite matters most. The torque challenge video evaluates the difference.